Roll dough thinly and place on a flour dusted pizza peel. Using a silicon pastry brush, brush the entire surface of the pizza. 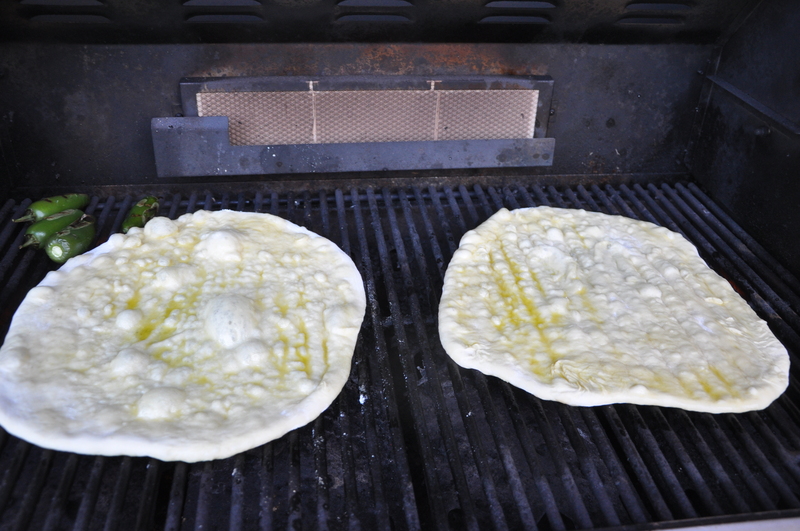 Place pizza oiled side down on hot grill (make sure you either oil or pan spray your grates). Close grill cover and cook for about five to 10 minutes, checking periodically to make sure dough is not burning (if so, reduce your heat). Oil top side of dough, when bottom is slightly browned, flip dough over. 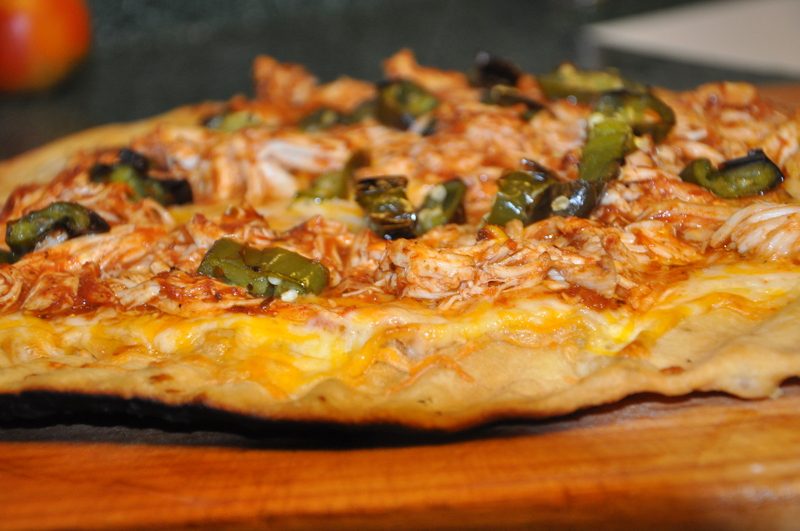 Cover dough with sauce, cheeses, shredded chicken and top with jalapeños (I grill these while preheating the grill). Cover grill and let cook 5-10 minutes until slightly golden and cheese are melted. Enjoy…..
WREG “Live at 9” 6-12-12 – Jalapeño Shrimp Firecrackers…. Happy 4th of July…try one of these babies for a little spark in your life……make them hotter by leaving some of the seeds inside the jalapeños….another variation, add some chopped chives to your filling, how about some crumbled up bacon too….the list is only limited by your own imagination!!!! !